In our continuing series of fabrics often used in plaid, we look into the most common one called flannel. What the word flannel means, what does flannel feel like, and whether do flannels shrink are just some of the questions we’re going to answer in this article. What does flannel feel like? A flannel shirt? What’s that! Let us get down to the basics by trying to define what flannel means. The origin of the word can be found in the Welsh language being attributed to the word gwlanen, which means “a woolen article” or anything that is made of wool. Remember our post on ‘What is Plaid?’ It’s almost similar how the words, Flannel and Plaid were formed. The people who first called flannel as such just made use of a term to actually mean what it is, wool. Of course, over time, flannel isn’t only now made from wool. There is a bunch of other raw material where we can derive flannel fabric such as cotton or other synthetic fiber. In a more recent use of the word, people use a flannel shirt to say “plaid shirt”, which creates the confusion. The best reminder to escape such confusion is to remember that flannel is the material and, plaid is the print. Most baby products, especially toys, are often made from flannel. If you ask, why, well, why not? Flannel is actually a great material for babies to learn what softness is. But aside from being soft, it is also a little warm and fuzzy! Flannel makes for a perfect snuggle for your baby! If you check out our article on caring for your flannel shirts, we can learn that flannel actually shrinks. In order to prevent that, washing it with cold water at first and gentle detergent would be the safest way to go. Aside from using cold water, here are a few more reminders for caring for your favorite flannel shirts. Always Check the Label – As we said, over the years, flannel isn’t only derived from wool, it can also be made from an assortment of cotton and fabricated fibers. Flannel can be made purely from cotton or a mix of rayon, polyester, etc. Having these different fibers can become a problem if not taken into consideration as these different fibers can have a different reaction to chemicals and water temperature. In order to prevent mishaps, always make sure to check the garment or the sheet’s label. Always Use Cold to Warm Water, NEVER HOT – High temperatures usually shrink many materials and fabrics are no exemption. Whether the flannel is made from pure wool or pure cotton or a combination of different fibers, it’s best to use cold to warm water to wash your favorite flannel shirt. 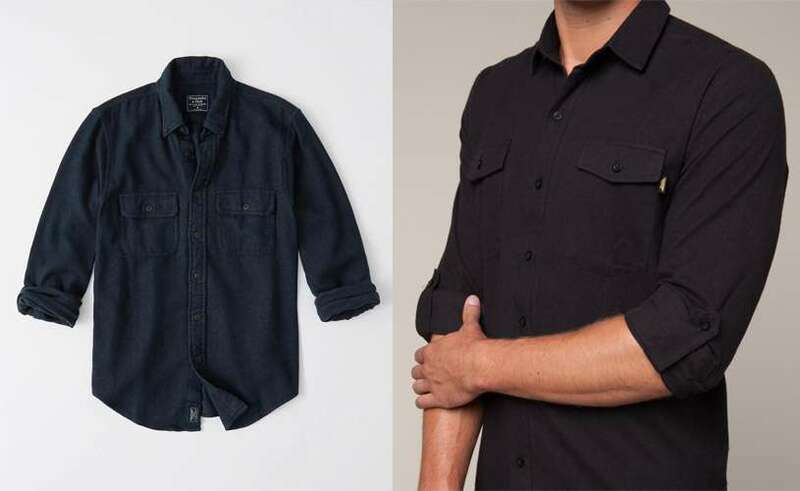 Always Iron your flannel shirts on the reverse side – flannel is almost similar to fleece in such a way that they are both brushed cloths. It is with this process that both of these fabrics achieve the fuzzy-textured feeling. However, the loveable fuzziness can cause the fabric to become more prone to being burnt. Now to prevent this from happening and to prevent getting any iron residue on your beloved flannel shirt, iron on the reverse side of the garment so that, you favorite flannel shirt will always remain free from these unattractive accidents. Always Dilute Bleach – ever had discolored marks on your pants because you touched it after touching bleach? This is the reason why you always have to make sure that you are using diluted bleach. Even with the more recent “safe for colors” type of bleach, you still have to do this. Bleach is a great disinfectant for clothes and it can definitely whiten whites. Now, unless you want a faded plaid flannel shirt, do make sure that your bleach is diluted before using it on your flannels. Ever wondered how flannel achieved its status of being a “warm fabric”? It is all because flannel, was originally made from wool. Wool, having been derived from sheep fur, has the ability to keep all the body’s warmth and repel moisture. No wonder lumberjacks really prefer wool flannel over any kind of fabric. With its ability to retain heat and repel moisture, it’s perfect for people working in cold areas whose jobs require a lot of body movements. Over time and with technological advancements in the fabric and garment industry, flannel can be made from cotton, tree fibers, as well as synthetic fibers such as polyester. No matter what kind of fiber was used to create your flannel, your flannel is still a flannel if the fabric ticks all of the defining characteristics: Just a little fuzzy? Check. Feels warm to wear? Check. Does a great job of repelling moisture? Double check. We made a whole post dedicated to differentiating flannel from plaid, and we created one equation to rule them all: Flannel: Material; Plaid: Print. A flannel shirt, therefore, is any shirt that is made from flannel. It is never about the print since there’s flannel shirts that’s not plaid printed or that does not have any print at all. A flannel shirt can also be printed. Because, again, it’s the material and flannel shirts don’t only exist in plaid. Just take a look at this shirt from RRL which features a hunting scene. We can’t just have this post without a plaid flannel shirt, can we? After all, this is a plaid lover theme and what better shirt to show for a plaid flannel shirt than this beautiful plaid patchwork flannel shirt from Supreme that’s been made from 100% cotton. Whether you like your flannel plain or printed, there is something for everyone who loves flannel. You might not prefer wearing it, but there’s no denying just how usable this fabric is. It’s just as versatile as the plaid print when it comes to its use! We do hope that you enjoyed our article on ‘What is Flannel?’. If you enjoyed this one, be sure to spread your love for plaid by sharing this to your friends and family.